Matt Pritiko will be back behind the wheel of his Global Warranty No.21 Toyota Camry for the fourth round of the APC United Late Model Series at Delaware Speedway on Friday, June 29. (Photo by Thompson Photography). LONDON, Ont. – June 27, 2018 – A turbulent start to the season had led to familiar waters for Matt Pritiko. The London, Ont. driver on the APC United Late Model Series tour has faced a number of challenges through the first three races on the tour this season, but weathered the storm and is not set to return to his home track, Delaware Speedway, for round four of the 2018 schedule in the Spectra Premium 100 on Friday, June 29. Pritiko is excited to the return to his roots at Delaware, where he first began his Late Model racing career. After a below-expectations finish two weeks ago at Peterborough Speedway, Pritiko tested his Global Warranty/Toyota-Town No.21 Camry earlier this week at Delaware and was pleased with the results. Delaware is one of only two tracks a half-mile or larger that the Series visits annually and Pritiko believes his experience on the high-speed and deceptively tricky track will be a major asset on Friday night. 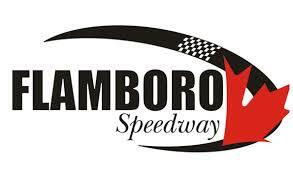 Pritiko and his team, with support from McColl Racing Enterprises, have been hard at work over the past 10 days to find more speed for the No.21 and to improve on the season-best third-place finish at Flamboro Speedway earlier this month. On the heels of a successful test session and armed with his vast knowledge of the historical half-mile track, Pritiko feels confident he has the pieces in place for a strong run when the lights are on and the green flag drops Friday. Keep up to date with the latest news on Matt Pritiko online at www.mattpritiko.com or on Facebook, Twitter and Instagram at the links below. Race time for the Spectra Premium 100 at Delaware Speedway on Friday, June 29 is 7:30pm. For additional event information, visit www.delawarespeedway.com andwww.apcracingseries.com.